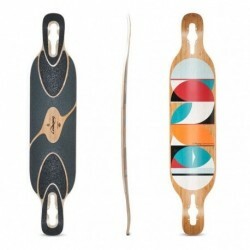 Les planches pour ceux qui aimes se balader. Cruising / Pushing Il y a 48 produits. 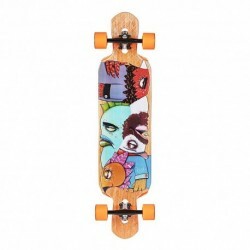 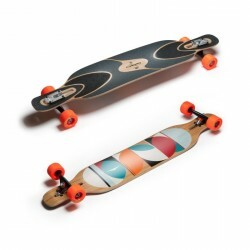 The longboard Riviera Soul Patrol is a big and comfortable pintail style cruiser with ample style. 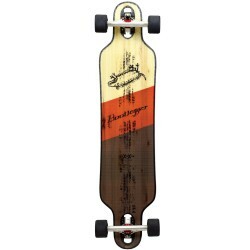 This longboard has a frontward steering bias with its extra width under the front foot and taper to the rear. 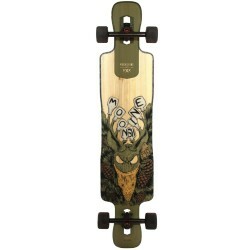 It's a great deck for pushing, commuting, or carving. 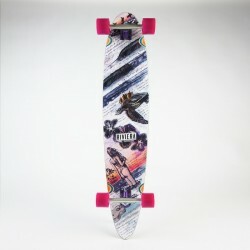 Trucks: Paris Street | Wheels: Divine Trail Blazers Specs:Length: 83.8cm / 33"Width: 23.8cm / 9.38"Wheelbase: 39.3-41.9cm / 15.5-16.5"
Trucks: Paris V2 180mm, Wheels: Divine Street Slayer 72mm 78a of 82a, Bearings: Abec 7. 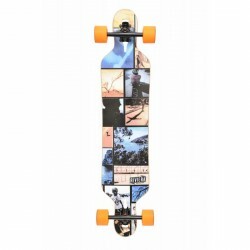 Length: 116.8 cm/46" Width: 24.1 cm/9.5" Wheelbase: 78.7 cm/31"